Travel to Great Britain and see some of the world's best gardens. Visit Stonehenge and see one of the country's most celebrated monuments. Travel to Bath for a tour of this elegant spa town and see the hot springs it is famous for. Visit Stourhead Gardens and see the lakeside walkways and classical temples that bring this garden to life. Tour Cardiff Castle, originally built in the 11th century this residence underwent an extensive rebuilt in 1867. Hidcote Manor Garden is widely considered one of the world’s great gardens and you will see why this has influenced many garden designs. Stop to visit Blenheim Palace, the birthplace of Sir Winston Churchill, and explore the largest private house in the country. 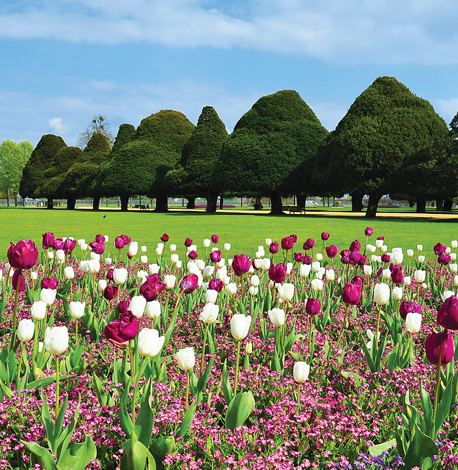 Spend a day at the Hampton Court Flower Show, the largest flower show in the world. Here you will be able to learn at demonstrations and talks, find new ideas at their show gardens, and relax in the power of nature and much more. See some of the best and oldest gardens in the world.